The contraction of the sports video game genre within the last 10+ years has reduced the sports with competition down to only a few, and one of those has barely just hung on and isn’t at all competitive. With that in mind, in soccer and basketball there are multiple options to consider spending money on, but consumers may already have pre-conceived notions of which they should choose while others may be up into the air as to a decision. 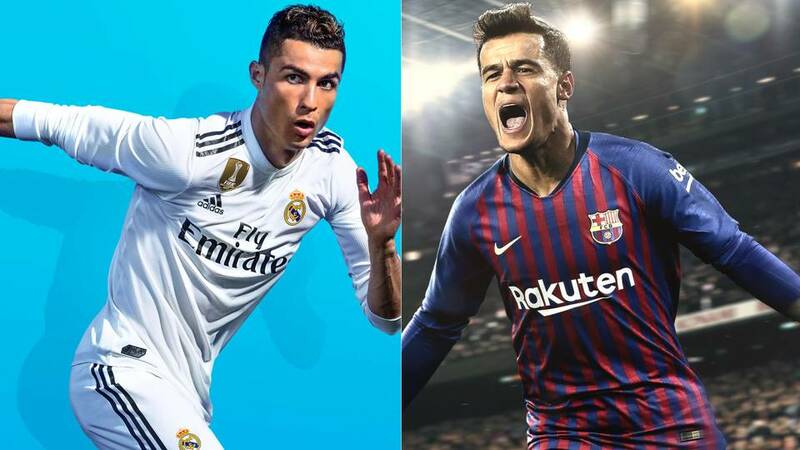 Battling on the pitch is FIFA 19 and Pro Evolution Soccer 2019, with the review of those two here on Sporting News. PES has been the superior option in terms of gamplay in recent years and that could be argued is the case again though the gap has seemingly been narrowed. FIFA however has a tremendous edge in licensing, presentation, and feature set. FIFA 19 currently stands at an 84 on Metacritic while PES is at an 80 which is a low for the series since 2013. After crashing last year with the lowest Metacritic score for an NBA 2K game in a decade, 2K19 has recovered but only marginally so with a current score of 83. The drag on the scores, both from critics and users, is primarily due to the aggressive monetization tactics that have proved detrimental to design decisions. Otherwise 2K19 is as complete a sports game as any ever released. NBA Live on the other hand has settled into the low-70s with the last two iterations and this year it could barely be described as an NBA game. In one sense it was necessary to differentiate from 2K, but on the other it has turned off traditional fans. Check out the reviews of the two on Sporting News here. Thankfully there are numerous ways to get a feel for all the games before having to commit to a purchase. All four have some form of a free demo available, and the two from EA Sports also have EA Access and Origin Access 10 hour trials for subscribers.